Recently, I was asked to facilitate a warm-up session. I thought well “let’s do something fun”! They’re needing to be warmed up afterall. I have a background in research and development. I’ve worked as a paint chemist for years and innovation is what laboratory people do as well as architects, software deisgners, business people in general. happened to come across this challenge called “The Marshmallow Challenge”. Perfect! What is The Marshmallow Challenge? Does everyone understand the rules? Finishing requires: Measuring the structures and identifying the winning team. Kids do Better than Business Students: On virtually every measure of innovation, kindergarteners create taller and more interesting structures. Kids test things out using an iterative process – they get feedback on what works and what doesn’t. Prototyping Matters: The reason kids do better than business school students is kids spend more time playing and prototyping. They naturally start with the marshmallow and stick in the sticks. The Business School students spend a vast amount of time planning, then executing on the plan, with almost no time to fix the design once they put the marshmallow on top. The Marshmallow is a Metaphor for the Hidden Assumptions of a Project: The assumption in the Marshmallow Challenge is that marshmallows are light and fluffy and easily supported by the spaghetti sticks. 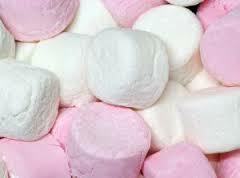 When you actually try to build the structure, the marshmallows don’t seem so light. The lesson in the marshmallow challenge is that we need to identify the assumptions in our project – the real customer needs, the cost of the product, the duration of the service – and test them early and often. That’s the mechanism that leads to effective innovation. To finish, this is an absolutely fantastic warm-up exercise. Can be done with small groups upto 800! It gets people working together, into a creative mindset and focused. Its great fun too so is a real team building exercise. Enjoy!